Last year, Alice Finch won "best in show" at BrickCon for her enormous recreation of Harry Potter's Hogwarts. As she should have. 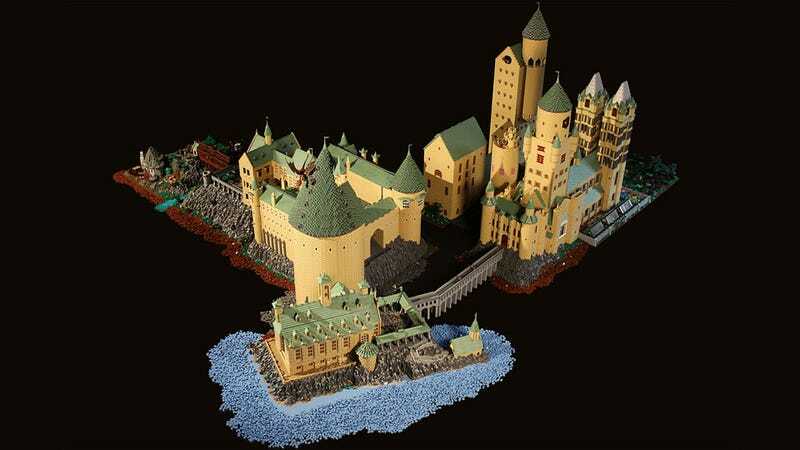 Because it might be the most impressive LEGO construction ever made by a single person. The exterior shot you see above is good enough, but it's when you open it up and see that she designed and built the guts of the school as well that your jaw smashes through the floor. Made of over 400,000 bricks, the coolest part is that now that it's won awards and internet applause, it's not being dismantled. Alice's son is a huge Harry Potter fan, so she's leaving it up so he can play with it. Making him instantly the coolest damn kid at his school. There's a great interview with Alice over at Brothers Brick explaining how it was built, while you can see some photos below.